With the fall of Yemen to Iranian-backed rebels, the subordination of the Iraqi army to Iran-backed militias, and the continuing dominance of Iranian proxies in Syria and Lebanon, it seems that a new empire has emerged–right under the nose of the United States. Despite their ongoing failure to reach an agreement with Iran over its nuclear program, the White House seems to be satisfied with the current state of affairs in regard to the Islamic Republic. They appear to believe that all is well and getting progressively better. So much so that, in his latest State of the Union speech, President Barack Obama said, “Diplomacy is at work with respect to Iran. … We’ve halted the progress of its nuclear program and reduced its stockpile of nuclear material.” He then vowed to “veto any new sanctions bills” that supposedly threaten to undo that progress. Unfortunately, the perception of progress in regard to Iran is entirely inaccurate. The West, it seems, has been taken in by Iranian misdirection, a skill at which the Islamic Republic excels. Iran has Western leaders preoccupied with its nuclear program and has convinced them that they are making progress on the issue. In fact, Iran is moving closer to producing a nuclear weapon, and the West has been steadily moving towards acceding to Iranian demands. More importantly, however, with the world’s attention fixated on Iran’s nuclear program to the exclusion of everything else, we are ignoring an arguable more dangerous threat emanating from Tehran: The Islamic Republic has been using its regional proxy groups to steadily expand its influence and solidify its control over the Middle East, and this invisible conquest is an increasing threat to Western interests in the region and our regional allies. The West sees nuclear weapons as Iran’s ultimate goal. But the Islamic Republic is not so simple-minded. Nuclear weapons are only one aspect of a multi-faceted strategy aimed at achieving regional hegemony. Particularly since the overthrow of Saddam Hussein’s regime in Iraq, Iran’s expansionist policies have gone into overdrive. By supplying arms and training to various proxies helpful to its interests and using them to carry out terrorist campaigns around the Middle East and beyond, Iran has exponentially increased the region’s instability and then taken advantage of the chaos. Through its Iranian Revolutionary Guard Corps-Quds Force and its commander Qassem Soleimani, Iran has reached the point at which it practically controls four Arab capitals—Beirut, Damascus, Baghdad, and Sana’a, Yemen. The Iranians have not been shy about the spread of their regional influence. Ali Reza Zakani, a member of Iran’s parliament close to Supreme Leader Ayatollah Ali Khamenei, recently boasted, “Three Arab capitals have already fallen into Iran’s hands and belong to the Iranian Islamic Revolution,” suggesting that Sana’a, Yemen is the fourth. As a result, he said, Iran has now reached the stage of “Grand Jihad,” and can impose its will on the entire region. Iran has been using its regional proxy groups to steadily expand its influence and solidify its control over the Middle East, an increasing threat to Western interests in the region and our regional allies. Perhaps nothing has proven the veracity of Zakani and Salami’s statements better than recent events in Yemen, which should have set off alarm bells in the West, but—possibly because they are unrelated to the nuclear issue—have not done so. Since last September, the Houthi militia (officially known as Ansar Allah), an Iranian proxy and ally of Hezbollah—their banner, incidentally, contains the slogans, “Death to America, Death to Israel, A curse upon the Jews”—has made increasing progress toward essentially taking over the country. In effect, the Houthis have launched a coup d’etat against the Yemeni government, a close ally of both the West and Saudi Arabia. Considering the Houthis’ history, this turn of events is surprising only if one ignores Iran’s role. The Houthis are Zaidi Shi’a Muslims. Zaidis were traditionally moderate and politically quietist, in addition to being the closest of the Shi’a schools to the Shafi’i school of Sunni Islam. However, as has occurred with many traditionally quietist Shi’a groups, Iran’s exportation of its Khomeinist Revolutionary ideals—in many ways at odds with traditional Shi’a Islam—have considerably shifted the Zaidis’ traditionally moderate attitude. After four days of fighting around the capital of Sana’a, Houthi gunmen took over the capital itself, along with the strategically important al-Hudaydah port on the Red Sea. The government was then forced to sign an agreement setting up a new administration amenable to Houthi demands. The agreement did not grant the Houthis direct rule over Yemen, but rather a decisive role in the new government. 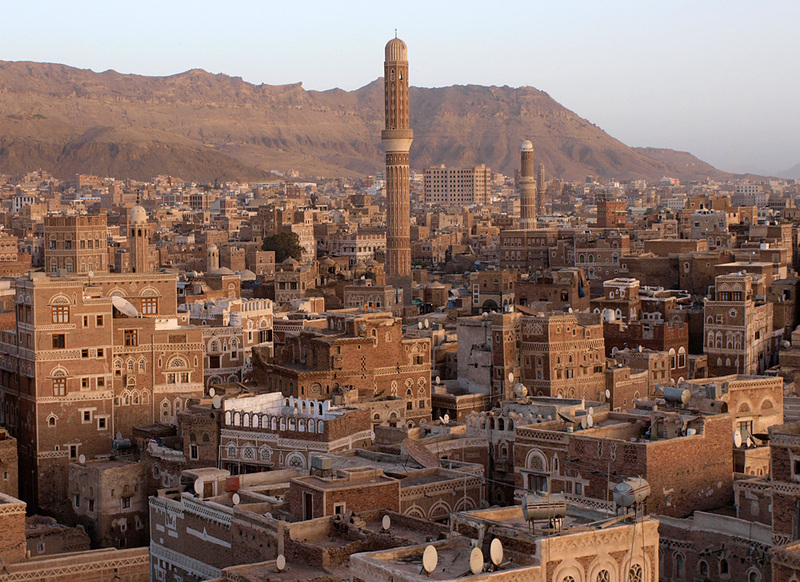 The Houthis promptly dismissed public officials and demanded control of certain ministries. They claimed this was an attempt to reform the political system; but it was, in fact, little more than a thinly veiled attempt to seize key positions of power. The agreement became a dead letter, however, when the Houthis seized control of the airport, the parliament, the central bank, and army headquarters, leaving pro-Western President Abd Rabbo Mansour al-Hadi essentially impotent. Having established themselves as the most powerful group in the capital, the Houthis have since acted as the country’s main powerbroker. In early February, they went as far as dissolving parliament and declaring their control over the country. While the extent of the Houthis’ links to Iran is murky, U.S. and Saudi officials have accused Iran of arming and funding them as a proxy force serving Iranian interests, while Houthi leaders have privately admitted as much. Danya Greenfield, a Yemen specialist at the Atlantic Council in Washington, said in an interview with Bloomberg News that she considered it “reasonable to assume” that the Houthis enjoy “Iranian support and influence and guidance.” Reports have also surfaced indicating that Houthi fighters are being trained and armed in Iran. Before the latest round of fighting broke out, the Yemeni government arrested Hezbollah and IRGC members aiding the Houthis, many of whom were released after the group took over the capital. In mid-2014, for example, Yemen arrested a number of Hezbollah operatives on charges of training Houthi fighters. Hezbollah is, of course, an Iranian proxy. The charges were corroborated by reports indicated that Hezbollah’s Unit 3800, whose corollary Unit 1800 collaborates with Palestinian groups, was involved in the training programs. Videos of Houthi training camps have shown individuals resembling Iranian-backed fighters in Lebanon, and since the battle between the Houthis and the government began, Yemen has accused Iran and Hezbollah of aiding the rebels. In fact, the Yemeni government has been making this accusation for years, and has even charged Hezbollah with establishing the Houthis’ Al-Masira radio station. If true, this would be a major development, considering the success of Hezbollah propaganda outlets like Al-Manar and Al-Nour. On January 23, 2013, Yemen intercepted the Jihan-1, an Iranian ship carrying weapons to the Houthis. The shipment included 122-mm rockets, 20 shoulder-fired MANPADS, 100 bombs and RPG launchers, Iranian- and Russian-made night vision goggles, silencers for automatic weapons, large quantities of RDX plastic explosives, electronic equipment for the production and activation of IEDs, monitoring equipment, and an assortment of other weaponry. Since then, the IRGC-QF has strengthened its direct presence in Yemen with Hezbollah’s help, enabling it to smuggle weapons and drugs from Iran to Yemeni ports, and from there via the Red Sea to terror organizations it supports in the Middle East, North Africa, and even Europe. The Houthi takeover of the Al-Hudaydah port, and their seeming intention to take the Bab Al-Mandeb Strait, further facilitates these activities. Fighting in Sana’a flared up again in recent weeks, and in the worst violence to hit the Yemeni capital since the Houthis overran it in September, the group clashed with Yemeni forces near the presidential palace, surrounded the prime minister’s residence, and, on January 19, seized control of Yemen’s state news agency and television station. They also abducted President Hadi’s chief of staff, Ahmed Awad bin Mubarak, in response to the release of a draft constitution they opposed, because it would have divided the country into six federal states, weakening Houthi—and thus, Iranian—political influence. A ceasefire went into effect on the evening of the 19th, allowing President Hadi and Houthi representatives to hold negotiations the next day. Hadi, of course, conceded to Houthi demands and accepted a power-sharing deal with them. He even agreed to amend the constitution in accordance with their wishes. Days later, Hadi and his government resigned, leaving a power vacuum in which the Houthis have become de facto rulers of the capital. Velayati also noted that, in light of their victory, the Houthis would now play a role in Yemen similar to that of Hezbollah in Lebanon. This is an apt comparison, since Iran likely intends to use its proxy control of Yemen in the same way as its control of Hezbollah, which gives it a de facto border with the Jewish state. Velayati made this explicit by saying that, due to the strategic location of the Bab Al-Mandeb Straits, “the road to freeing Palestine passes from Yemen.” Control of the Straits would allow Iran to cut off Israel’s trade routes to Asia via the Red Sea, and facilitate Iran’s ability to smuggle weapons to Hamas and other proxies without having to worry about Israeli naval patrols. The Iranians have long sought to control strategic Arab waterways as part of their regional strategy, as economist Mohamed Abdo Absi noted in an interview with the pan-Arab newspaper Asharq Al-Awsat. The Bab Al-Mandeb port is particularly important, because “three million barrels of oil per day” pass through it. Absi added that a Houthi takeover of the Strait would be catastrophic for the countries that use it, “with the Arab Gulf states being most hard-hit, since they would be under the mercy of Iran.” Controlling the economic lifelines of the Gulf states would allow the Iranians to force the oil sheikhdoms to fall in line with its regional strategy or risk destabilization and collapse. The Houthis may now play a role in Yemen similar to that of Hezbollah in Lebanon, with the added difficulty of controlling a major international waterway. Events in Yemen have serious implications for the West as well. The Bab Al-Mandeb’s geographical position makes it a strategic link between Eastern and Western trade routes. Considering the West’s demonstrated distaste for a confrontation with Iran, a direct or proxy Iranian presence on one of the West’s key trade routes to Asia could put Europe at Iran’s mercy. Iranian control over the waterway and the Straits of Hormuz would also allow Iran to control oil shipments to the West, a situation the Iranians would be sure to exploit to their advantage. The events in Yemen also pose a challenge to U.S. counterterrorism policy. Since 2011, the United States has provided Yemen with nearly $1 billion in economic, military, and humanitarian aid, due to the country’s important role in fighting terrorism. Hadi’s resignation is both a setback for the United States vis-à-vis Iran, but a strategic blow to the fight against Al-Qaeda in Yemen. As The Wall Street Journal noted, “The US has depended upon Mr. Hadi in its efforts to keep Al-Qaeda in the Arabian Peninsula, or AQAP, in check.” Though the Houthis are also fighting AQAP, there is no confluence of American and Houthi interests. Houthi victories accrue to Iran’s advantage, not to that of the United States, and the Houthis are opposed in principle to U.S. counterterrorism policies in Yemen. Tehran’s reach does not end in Yemen. Since the collapse of Saddam Hussein’s regime, and increasingly after the American withdrawal from Iraq in 2011, Iran has been more and more brazen about its control of Iraq via Shi’a proxies. Exploiting the rise of ISIS and Western fears of the Islamist terror group, Iran has used the pretense of fighting ISIS as an excuse to solidify and entrench its control over Iraq. As al-Hosseini was careful to point out, Iran controls Iraq, and has done so for quite some time. Through the careful use of its proxy militias and Shi’a Iraqis loyal to Tehran, Iran now exercises decisive control over Baghdad. 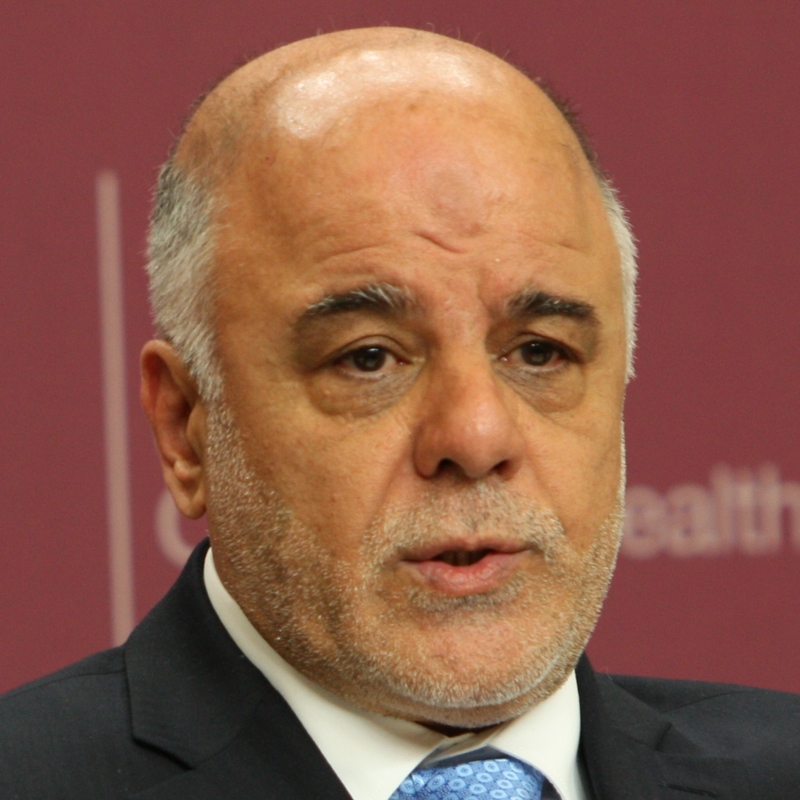 Iraq’s current prime minister, Haider al-Abadi, for example, is a Shi’ite with very close ties to Iran. The transportation minister, Hadi al-Amiri, is unabashedly pro-Iranian, has been pictured together with the IRGC-QF’s Soleimani both in Amerli and at Jurf al-Sakher, and in a recent TV interview proclaimed, “I believe in the principle of velayet-e faqih, the absolute rule of the supreme jurist, as it currently exists in Iran.” As head of the Badr Organization—a paramilitary organization that has reconstituted itself as a political party—he secured the appointment of a junior member of the group to the position of interior minister. This gave al-Amiri, and thus Iran, control over the ministry, a key piece of Iraq’s security apparatus that controls the federal police and intelligence agencies, and has an arms procurement budget rivaling that of the defense ministry. During his stint as transportation minister, al-Amiri allowed Iranian over-flights that supplied Syrian regime leader Bashar al-Assad with weapons. Smyth has done a superb job chronicling their activities, and believes that, while not all of them are ideologically subservient to Iran, most of them are. Under the guise of combating ISIS, they are gradually taking over the country, and if they succeed in establishing control over the Shi’a areas of Iraq, it will give Iran control over oil-rich southern Iraq and the Iraq-Saudi Arabia pipeline. It will also give Iran a de facto border with Saudi Arabia. If the Iranians intend to use that border in the way they have used Hezbollah’s control of Lebanon’s border with Israel, then the Saudis have good reason to worry. Hezbollah’s involvement—and the involvement of Iran’s other proxies—in Syria serves Iran in three ways. First, it prevents the collapse of Iran’s hard-won “Shi’a Crescent” of puppet states by preserving the Assad regime. Second, it maintains Iran’s direct land route to Hezbollah, the most successful export of the Iranian Revolution and the vanguard of Iran’s regional strategy. Assad has allowed Iran to ship arms to Hezbollah through Syria virtually unhindered, and his support has been so instrumental to Hezbollah’s survival that Nasrallah called Syria the “backbone of the resistance and the support of the resistance,” noting that it would be “stupid” of Hezbollah to sit idly by as its Syrian supporter is gradually defeated. Finally, Hezbollah’s involvement prevents Syria from falling to hostile Sunni Islamist forces, which could threaten Iran’s hold over Iraq and strangle Hezbollah in Lebanon. Iran has not entirely outsourced its involvement in Syria to its proxies, however. In a recent interview with Der Spiegel, General Amir Ali Hajizadeh, Commander of the IRGC’s Aerospace Force, said that Khamenei ordered his forces to build and operate missile plants in Syria, a claim which Assad did not deny. In particular, the widely reported January 18 airstrike on Amal Farms in the Syrian Golan Heights—universally attributed to Israel despite a lack of official comment—exposed Iranian involvement in the area. The strike killed six Hezbollah fighters only days after the Iranian proxy denied having any presence in the area. Among those killed was the IRGC-QF’s Mohammad Ali Allahdadi, who had a long-standing relationship with IRGC-QF commander Qassem Soleimani, and was, in effect, the IRGC liaison officer to Syrian intelligence and supervisor of weapons shipments from Iran to Hezbollah. Another killed was Jihad Mughniyeh, son of the notorious Hezbollah leader Imad Mughniyeh, who was also very close with Soleimani. Sources indicated that Jihad had recently been appointed as Hezbollah’s commander responsible for the Golan, and “stood at the head of a wide-scale terrorist infrastructure with direct sponsorship from Iran and direct connection to Hezbollah.” Mohammad Issa, a senior Hezbollah commander responsible for operations in Syria and Iraq, was also killed in the attack. Shimon Shapira, a senior research associate at the Jerusalem Center for Public Affairs, pointed out that “an additional Iranian by the name of Assadi, who was, in all likelihood, the commander of the Iranian expeditionary forces in Syria” was among the casualties as well. And finally, Abu Ali al-Tabatabai—variously billed as either an Iranian general or a Hezbollah operative—was present. According to some sources, he was killed. However, one Hezbollah source has denied this. According to Shapira, Tabatabai, together with Jihad Mughniyeh, was in charge of the IRGC-QF’s Golan operations. Iran and Hezbollah seem to be trying to merge the Golan with their stronghold in southern Lebanon, melding them into a single front. Hezbollah leader Hassan Nasrallah confirmed that this was his group’s objective in a January 30 speech at which Alaeddin Bouroujerdi, head of the Iranian parliament’s National Security and Foreign Policy Committee, was present. That top-ranking IRGC and Hezbollah officers were in the area indicates the importance Iran is attaching to that objective. Establishing an active ground presence in the Golan and turning this usually quiet border into a new front against Israel will further encircle the Jewish state, allowing Iran to fight Israel far from Iran’s own borders. In recent years, some have speculated that Iran was coming very close to losing its grip on Lebanon. In the past, the country’s lack of social cohesion, weak army, and fractured government allowed Iran to use Lebanon as a pawn in its quest for regional hegemony. For a time, it worked. After the Taif Accords officially ended Lebanon’s bloody civil war and stripped all sectarian militias of their weapons, Hezbollah made sure to hold on to its arsenal under the guise of resisting Israel’s occupation of south Lebanon. But with the unilateral IDF withdrawal in May of 2000, many Lebanese began questioning Hezbollah’s need to maintain and upgrade an arsenal that dwarfed that of the Lebanese army. As a result, Hezbollah began to claim that its “resistance” was still necessary in order to expel Israel from the disputed Sheba’a Farms area. In the years that followed, however, Hezbollah made a series of errors that eroded its domestic legitimacy. In the wake of former Prime Minister Rafik Hariri’s assassination, Hezbollah sided with the Syrian regime suspected of killing him. It unilaterally launched the 2006 war against Israel that devastated Lebanon. In 2008, it turned its guns on its fellow Lebanese, occupying Beirut when the government ordered the removal of Hezbollah’s surveillance systems in the city’s airport. It refused to cooperate with the Special Tribunal for Lebanon’s investigation into the Hariri assassination or hand over its members suspected of involvement in the killing. 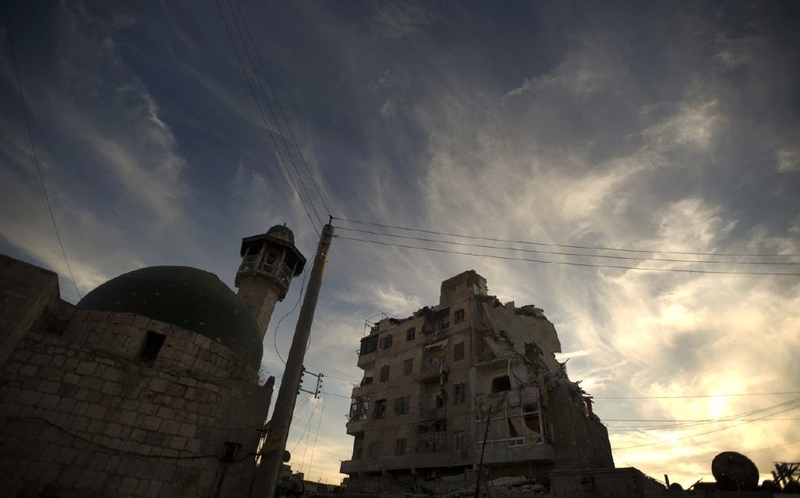 Most recently, Hezbollah dragged Lebanon into another unnecessary engagement by allying with the Assad regime in the Syrian civil war, inviting retaliation by Sunni militants within Lebanon itself. Yet, just when Hezbollah seemed like it was about to lose its grip over Lebanon, it managed to exploit the rise of ISIS in order to regain favor with the Lebanese people. According to Nicholas Blanford of the Christian Science Monitor, “The perceived danger by [ISIS] has even dampened the long-running and bitterly divisive battle in Lebanon on the fate of Hezbollah’s formidable military.” This is because a growing number of Lebanese, across the confessional divides, now believe that Hezbollah is the only force capable of standing between them and the ISIS onslaught. They see Hezbollah as the lesser of two evils, and this has been just enough to put Lebanon back in Iran’s grip. Sensing the opportunity to once again become part of the “Lebanese consensus,” Hezbollah has played up its ability to successfully confront ISIS, and its propaganda organs work overtime to heighten existing fears of support for the group among the growing Syrian and Palestinian refugee populations in Lebanon. These efforts seem to be paying off. The Iran-backed terror organization Hezbollah has exploited the rise of ISIS in order to regain favor with the Lebanese people. Capitalizing on this change in domestic sentiment, Hezbollah has resurrected its Lebanese Resistance Brigades, established in 1988 for non-Shi’a Lebanese who wanted to fight Israel. Reports indicate that even Sunnis have begun to join the Brigades. An article in Al-Monitor described Suleiman, a 27-year-old Sunni from South Lebanon who joined the Brigades and recently participated in one of its training programs. Suleiman said he was ready to do whatever is necessary to prevent ISIS from entering Lebanon, because “the danger of [ISIS] threatens everyone.” He said that dozens of young men from different sectarian backgrounds were present at the training camp. Considering the lack of support for ISIS among Lebanese of all sects, Rita and Suleiman’s views may well represent an increasingly large section of their respective communities. Thus, if Hezbollah plays its cards right, it may once again come to be viewed as Lebanon’s savior. Two recent incidents also indicate that Hezbollah may be regaining its strategic position in Lebanon. Last October, for the first time since the end of the Second Lebanon War in 2006, Hezbollah felt domestically secure enough to openly admit to carrying out an attack against an Israeli patrol in the disputed Har Dov/Sheba’a Farms region. By taking responsibility for the attack, Hezbollah knew it was inviting a potential Israeli response, and it would not have been so brazen had it not felt that its domestic and strategic positions were stable. Despite promising not to attack Israel from within Lebanese territory, Hezbollah launched a two-pronged attack against the IDF on January 28. Hezbollah operatives fired a swarm of five or six Kornet anti-tank missiles at an Israeli military convoy near the Lebanese border, killing two soldiers and injuring seven others. Soon after, mortar shells were launched from Syria at IDF positions on Mount Dov and Mount Hermon. This occurred a day after two rockets exploded in the northern Golan Heights; according to an Israeli security source, they were fired by Hezbollah. Hezbollah spared no time in assuming responsibility for the attack, attributing it to its “Quneitra Martyrs Brigades”—referring to the Hezbollah and IRGC operatives killed in Israel’s January 18 strike—before sending a message to the Israelis through the United Nations that it was not interested in further escalation. Hezbollah said the incidents were “eye for an eye” revenge attacks. Though Hezbollah certainly carried out the attacks, the orders came from Tehran. At a commemoration for General Mohammad Allahdadi, Salami said, “We tell [the Israelis] to await retaliation, but we will decide about its timing, place, and the strength.” In fact, the Iranians felt so confident that Hossein Amir Abdollahian, Iran’s Deputy Foreign Minister, said he had “told the Americans that the leaders of the Zionist regime should await the consequences of their acts.” State Department spokesperson Jen Psaki denied that the United States had received any such threats. Hezbollah’s latest attack bears many similarities to the attack that precipitated the Second Lebanon War in 2006. Hezbollah had little guarantees that further escalations would not occur, particularly after the killing of two IDF soldiers. Hezbollah was willing to risk a war with Israel—which Nasrallah made clear in his January 30 speech—speaking volumes to its standing in Lebanon, and by extension Iran’s stranglehold on the Land of the Cedars. It is interesting that this statement came from the Basij’s commander. The Basij is the IRGC’s auxiliary militia, drawn from the civilian population, raising the question of whether the Iranians are setting up similar auxiliary groups in the West Bank. This would be in keeping with the phased plan for Israel’s destruction often repeated and recently tweeted by Khamenei. Iran also exercises considerable control over Gaza. Palestinian Islamic Jihad, for example, has sworn fealty to Iran’s Supreme Leader and is wholly subservient to his dictates. More importantly, Iran has been a major supplier of military and financial aid to Hamas. And while much has been made of a “cooling” of relations between Iran and Hamas since the Syrian civil war broke out, this is an overstatement. Michael Doran, now a senior fellow at the Hudson Institute, has noted the “indispensable role” played by Iran in “building Hamas’s military machine” during last summer’s Operation Protective Edge, and stated that Iran “egged Hamas on against Israel.” Recently, Mousa Abu Marzouk, Hamas’ deputy leader, laid rest to any claim of a rift between Iran and Hamas, saying, “I believe that bilateral relations between us and the Islamic Republic of Iran are back on track.” This came one week after a Hamas delegation visited Iran. An Iranian proxy group has targeted Israel from the north, while other groups target Israel from the south and west. More recently, top Hamas terrorist Mohammad Deif publicly confirmed that he was not killed in the Gaza war by sending a letter to Hassan Nasrallah, conveying his condolences over the “martyrs” killed in Israel’s Golan airstrike and calling for “all of the forces of the resistance [to] band together and unite against the Zionist enemy and its accomplices.” Al-Manar reported that Hamas leader Ismail Haniyeh sent a similar letter, signaling fully restored relations between Hamas and Iran. These letters were the latest of many indications that Hamas and Hezbollah were ready to cooperate to fight Israel. With Gaza, the West Bank, its presence in south Lebanon, and the new front it is attempting to open on the Golan Heights, Iran’s strategy appears to be the encirclement of Israel, creating an unbroken ring around Israeli territory from which rockets can be fired. Salami has emphasized that, under such circumstances, Israel can no longer enjoy any security, because the entire “occupied Palestinian territory” is now within range of Hezbollah and Hamas’ missiles. Taken together, these developments paint a picture of an unstoppable Iranian advance in the region. In the span of four years, the Islamic Republic has succeeded in virtually surrounding Israel, the Saudis, and other Gulf states, and now poses a serious danger to other Western allies like Jordan and Egypt. Yet despite the obvious dangers presented by Iran’s rapid expansion, there are those, like prominent Harvard professor Stephen Walt, who forcefully argue that concern over the issue is simple “hyperventilating” from the “usual alarmists.” In regard to the Houthi takeover, for example, Walt claimed that “what’s happening in Yemen isn’t critical to US security.” Walt would likely extend his argument to other countries where Iran is solidifying its grip, and many Western decision-makers no doubt share his views. Whether they do or not, there is no question that the West has done little or nothing to stop Iran’s expansionist policies. This disturbing lack of action from the West can be explained by two erroneous beliefs held by Western leaders. The first is the belief that Iran and its proxies are fighting Sunni Islamists like ISIS and AQAP, which are hostile to the United States and other Western countries, leading to the erroneous view that Iran’s policies are an asset to the West’s counterterrorism strategy. In Iran, the nuclear issue was treated as one aspect of a general struggle over regional order and ideological supremacy, fought in a range of arenas and territories with methods spanning the spectrum of war and peace—military and paramilitary operations, diplomacy, formal negotiation, propaganda, political subversion—in fluid and mutually reinforcing combination. Until the leaders of the West understand this, they will remain bogged down in an endless game of nuclear negotiations, imposing strict deadlines that are never met, then extending those deadlines again and again. 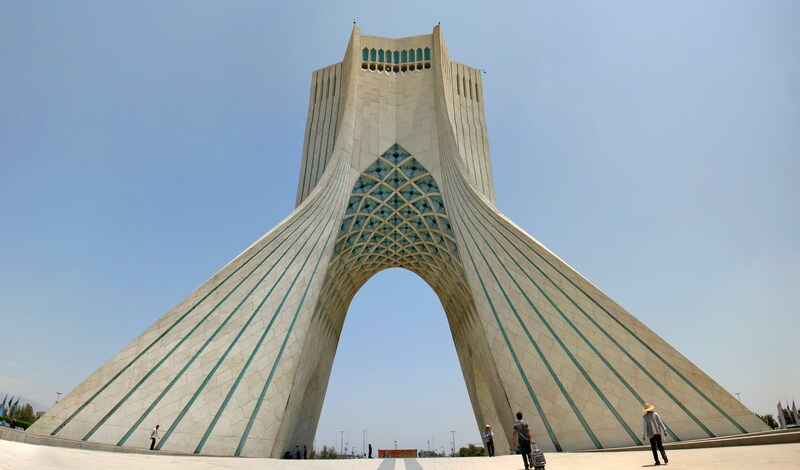 Iran will thus continue buying more and more time to pursue its goal of regional hegemony and, in doing so, further destabilize the region, picking off one Western-allied country after another. Unless it is stopped by firm and resolute action, Iran will continue down this path, causing serious and potentially permanent damage to both Western interests and the stability of the Middle East as a whole.